Particularly when it comes to your finances, where it’s definitely preferable to being in the red. To help you visualize your progress of getting there, we’ve rounded up the best debt trackers we could find on the internet. And the best part is, these free debt printables won’t cost you a penny. The debt snowball strategy of paying off your debt is so easy to use that you don’t even need a debt snowball Excel spreadsheet. Just use our simple, free one-pager below that you can write or type in. As you knock out your smallest debts first, watch your extra payments towards your larger debts balloon until your balances are totally buried and you’re final debt-free! Just click the button below and enter your details to sign up for the freebie. Here’s a free debt reduction spreadsheet for Google Sheets that’s simple but sweet. Plug in your loan balance, then let Google Sheets automatically calculate your milestones in 5% increments. Who said paying off debt had to be bland and boring? 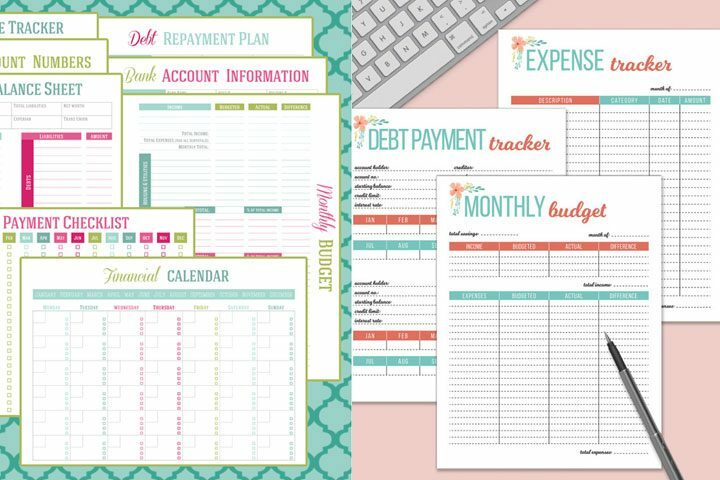 With these debt trackers that range from simple debt snowball worksheets to colorful debt printables, it’ll be anything but.